Charles McQuillan / GettyThe Irish border issue is highly emotive. Pictured: Sinn Fein hold an anti-Brexit rally on December 6, 2017 in Belfast, Northern Ireland. 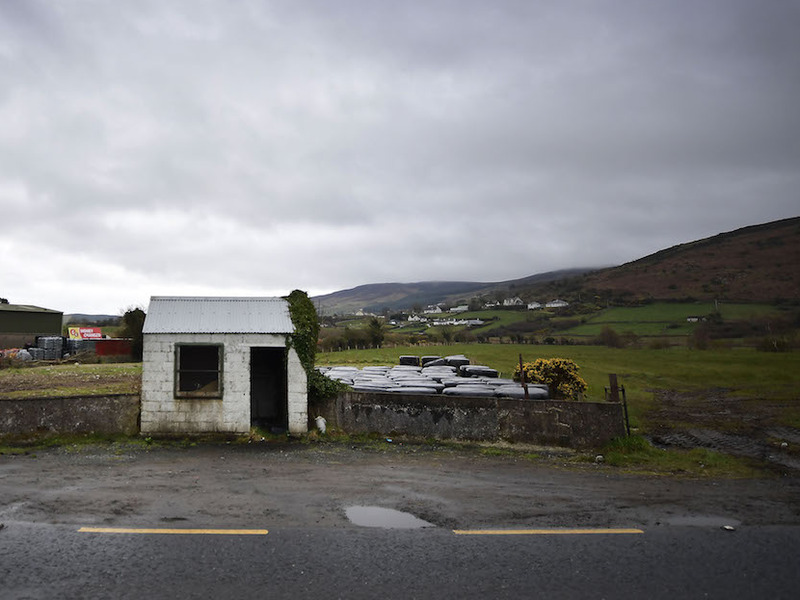 Re-introducing a hard border in Ireland after Brexit would be like re-opening a “gaping wound,” a leading expert has warned. Prominent Northern Ireland academic Katy Hayward said a harder border with technology could destabilise Ireland’s highly sensitive peace process. Her warnings echo those from senior police chiefs who say that border posts would become a target for dissident terrorists. The UK government has committed to avoiding a hard border, but the prospect of a no-deal Brexit and continued talk of “technological solutions” means it remains a real possibility. LONDON – Re-introducing a hard border in Ireland after Brexit would be like re-opening a “gaping wound” that would destabilise Ireland’s highly sensitive peace process, a leading expert has warned. “The peace process is a fragile thing,” said Hayward, a political sociologist whose work on the Irish border has been cited by senior EU negotiators. Her warnings echo those from the Irish government, which says that border posts would become a target for dissident terrorists. The problem is this. The UK intends to leave the EU’s Customs Union and European Single Market. It has also pledged to avoid a hard border between Northern Ireland and Ireland, which will remain in the EU. Border experts say a solution would likely break at least one of those commitments, because the EU will be legally obliged to apply standard customs checks to any goods coming into its customs union through the Irish Republic. The UK agreed with the EU this week that it would commit to avoiding any border checks and honour the terms of the Good Friday Agreement. But it has also refused to rule out using “technological solutions” to fix the issue, meaning the prospect of a harder border remains possible. A no-deal Brexit – which remains a firm possibility, and which the government insists would be “better than a bad deal” – would also see the emergence of a harder border. Senior cabinet ministers who favour a hard Brexit have also entertained the prospect of a hard border: Foreign secretary Boris Johnson caused alarm in Northern Ireland earlier this month when he suggested in a leaked letter to the prime minister that the UK could introduce enhanced border checks in Northern Ireland. Hayward says that would be both dangerous and economically damaging for the border area, a deprived region which was torn apart by three decades of sectarian violence before the 1998 Good Friday Agreement brought relative peace. “The border region in Northern Ireland suffered badly in the conflict, not just as a result of the direct experience of hard border fortifications but also in economic terms,” she said. “The imposition of a harder border would have a very real human side. “It would not only make it harder to trade across the border, but also bring back the idea of surveillance. “It’s dangerous on all sorts of terms. That has an impact on stability in Northern Ireland. Northern Ireland is a unique situation and its sensitivities need to be respected,” she said. Charles McQuillan / GettyA former customs guard hut directly situated on the north south Irish border stands disused as Brexit is triggered on March 29, 2017 in Newry, Northern Ireland. The violence was centred on the constitutional status of Northern Ireland, with checkpoints and border posts often functioning as targets for terrorism. Unionists, who were mostly Protestants, wanted it to remain within the United Kingdom and Irish republicans, who were mostly Catholics, wanted it to leave the United Kingdom and form a united Ireland. Senior Irish figures have also warned that checkpoints and cameras could re-emerge as targets for dissident terrorists. In December, Northern Ireland’s deputy police chief Drew Harris said paramilitary activity remained a major concern after 58 shootings and 32 bombing incidents that year, which had been largely unreported by the media. 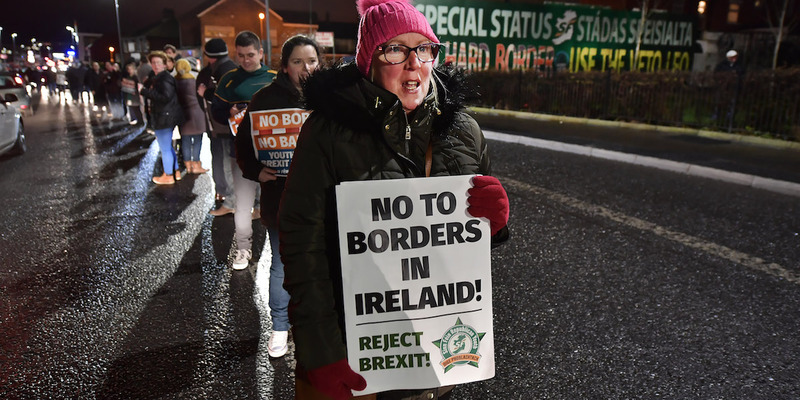 He told members of the Brexit Select Committee that “dissident groups see [the border] as an area which is contentious, which will give them a further rallying call to try and engender support. “Infrastructure on the border – that would be an obvious place for dissident groups to rally around and also to attack. It is highly foreseeable that dissident groups would seek to take action and that would include [against] buildings,” he said.